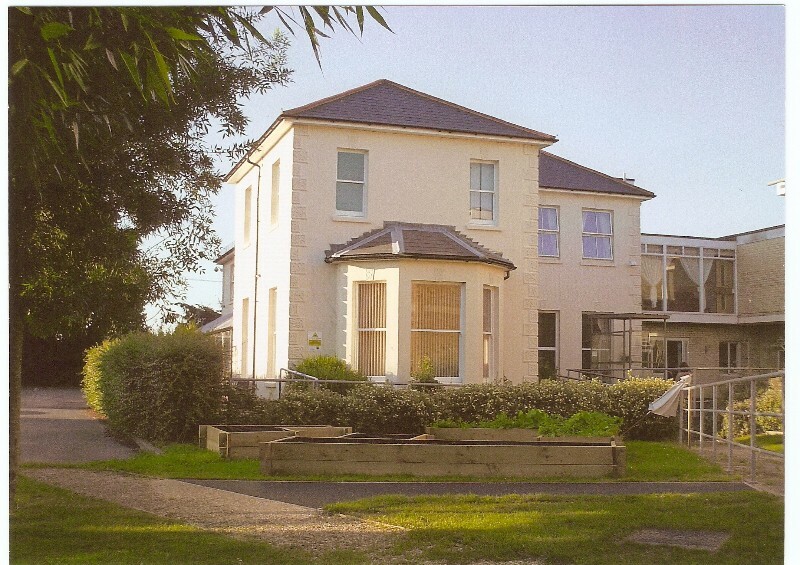 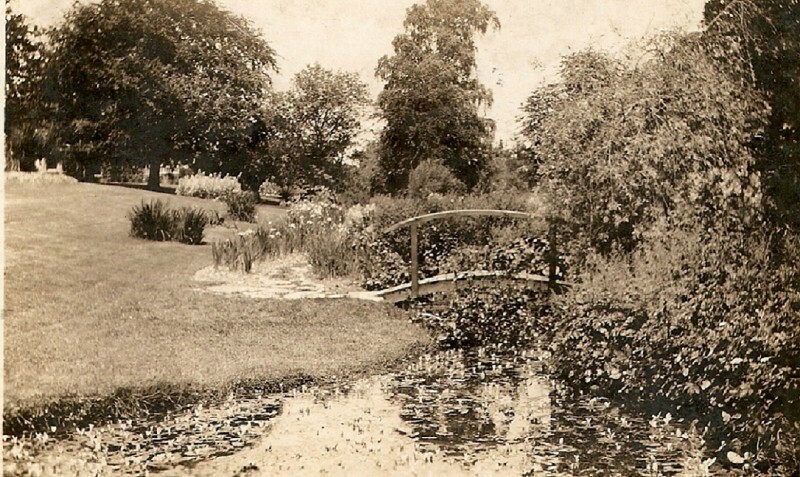 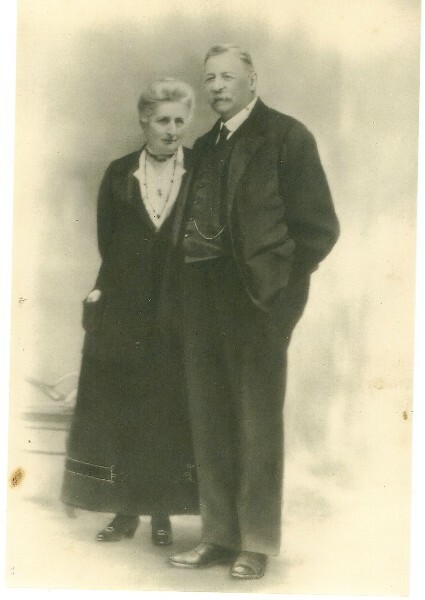 In late 1892 or early 1893 Augustus Hills Cobbold (1854 - 1931) and his third wife Ellen Stanley nee Townsend (1857 - 1933) purchased Brownhill House in Nursling near Southampton which stood in about 4 acres of open country through which ran a little brook, and set about planting a flower garden and a water garden. 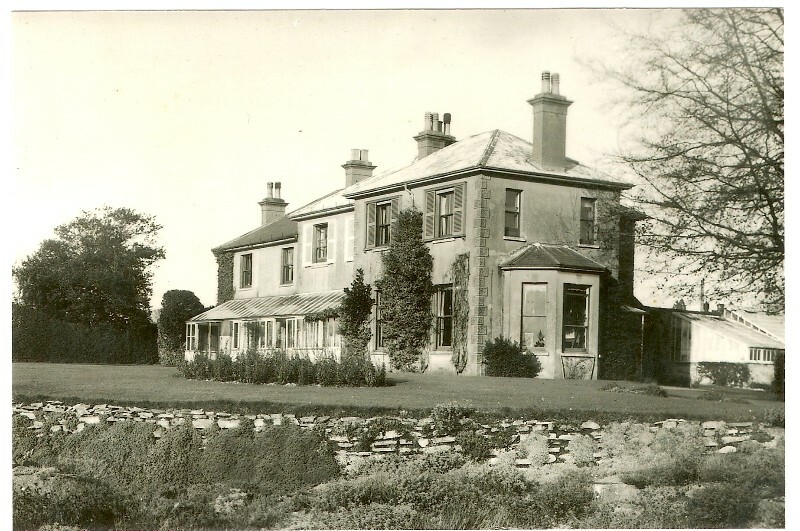 Their two children and five of their six grandchildren were born at Brownhill House. 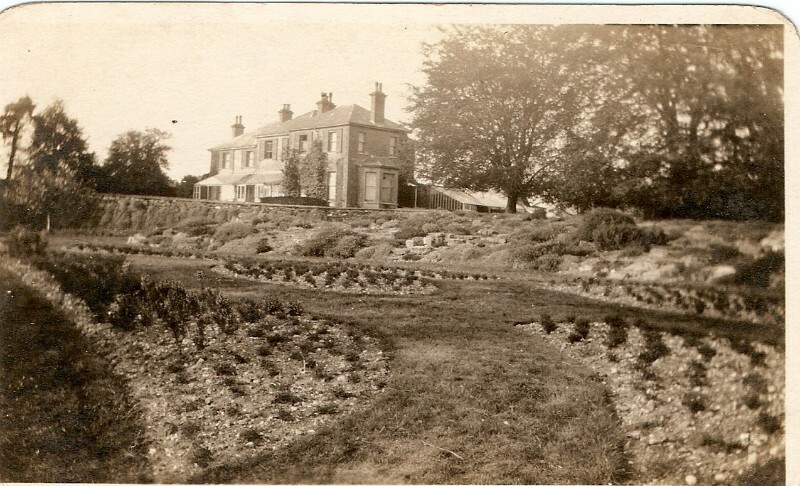 Brownhill House, about the turn of the century. 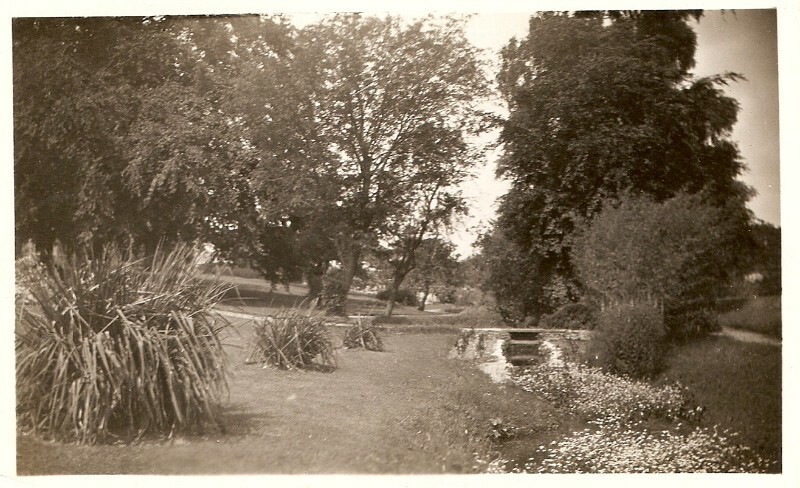 Brownhill House, a little later, some of the garden having just been planted. 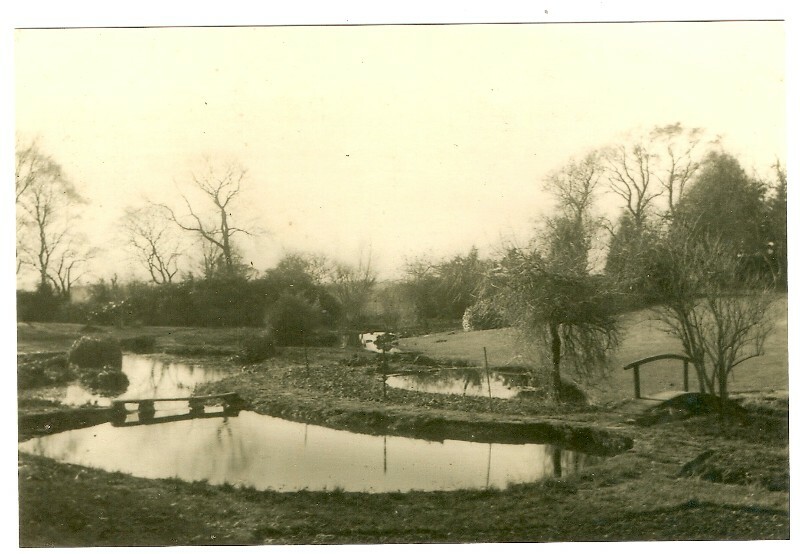 Little bridge across Fearnings Brook. 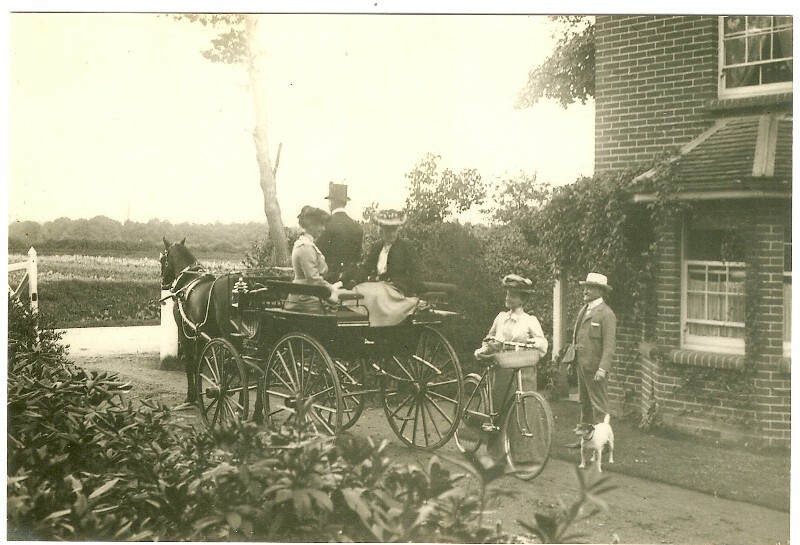 A departure from Brownhill Cottage, about the turn of the century. 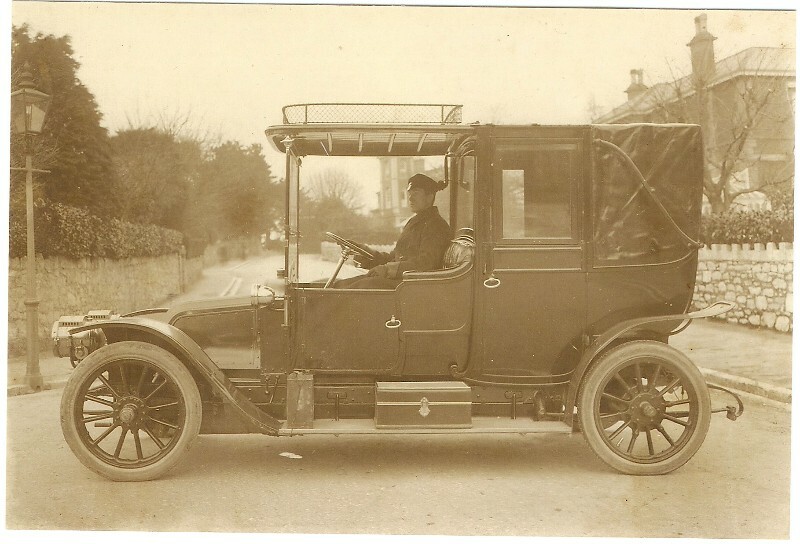 Hills's car with chauffeur Hooper at the wheel, taken on holiday in Torquay. 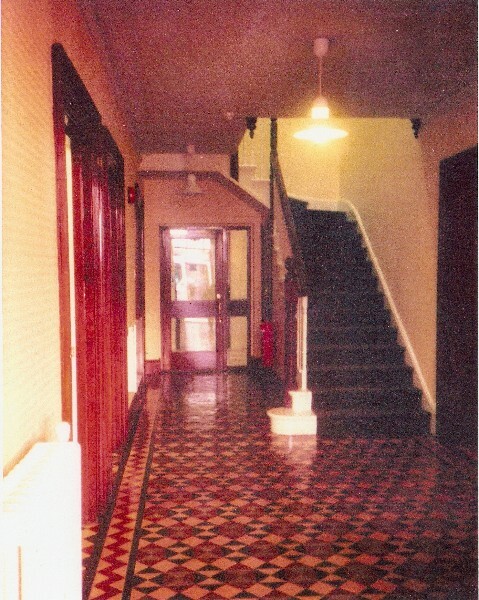 Entrance Hall, 1969, much at it would have been in Hills and Ellen's time. 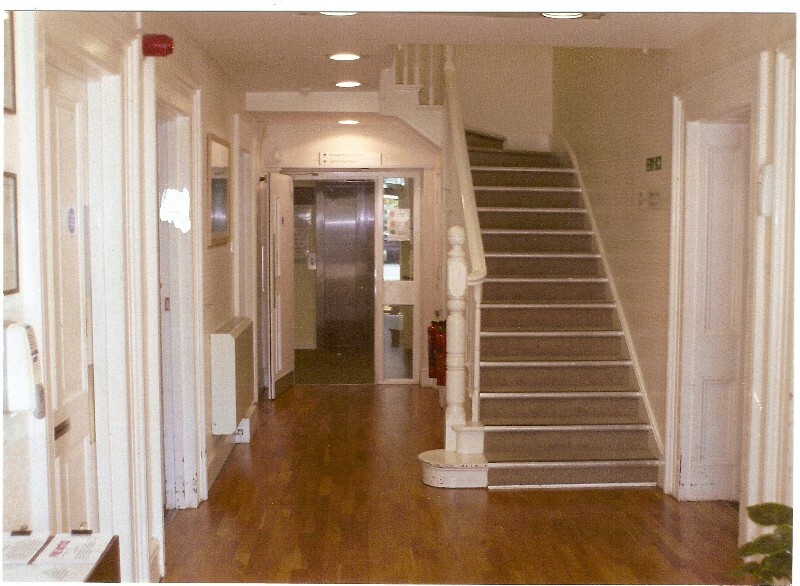 Entrance Hall, 2012. 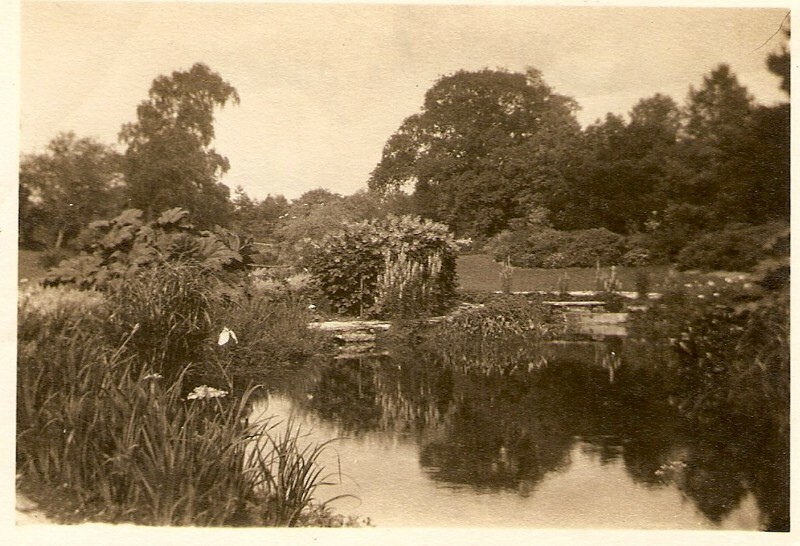 The Victorian tiled floor remains beneath its modern successor.